The Italian Riviera, located in northwestern Italy’s coastal Liguria region, is without doubt one of the world’s most beautiful destinations. 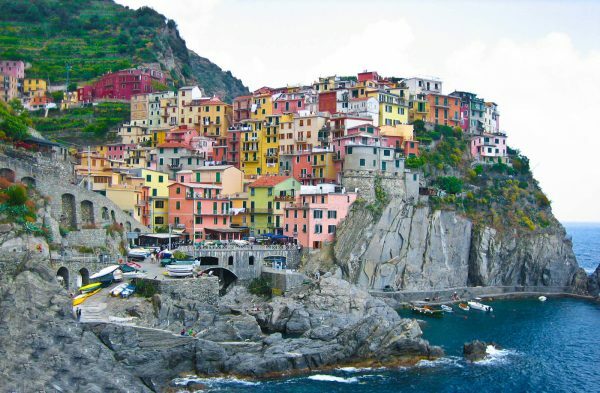 Cinque Terre’s five miles of rocky coast, featuring rustic castles nestled among lofty promontories, epitomizes the rugged coastal beauty that’s characteristic of the area. Numerous vineyards and olive groves contribute to a unique landscape of steep twisting paths, hand-laid stone walls, winding creeks, enchanting beaches, seemingly vertical cliffs and the clear waters of the Mediterranean. 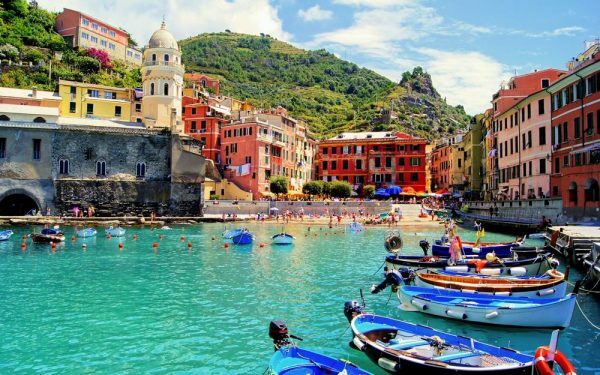 Not as widely known as other Ligurian vacation destinations such as Genoa, Portofino, Ventimiglia or Sanremo, Cinque Terre is one of the hidden gems of the Italian Riviera. Its name means “Five Lands” and it comprises five villages: Monterosso al Mare, Vernazza, Corniglia, Manarola, and Riomaggiore. Cinque Terre is a UNESCO World Heritage Site, and its coastline, five villages and surrounding hillsides are all within Cinque Terre National Park. 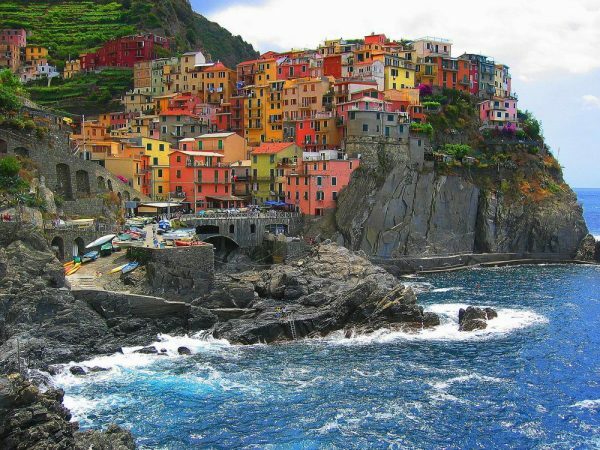 The Cinque Terre area is one of the most pristine, uncontaminated portions of the entire Mediterranean coastline. Its five tiny villages perch like jewels between a glorious stretch of isolated coastline and steep coastal hills. Cinque Terre does not have its own airport, so travel arrangements are a bit more complicated than just booking flights to Cinque Terre. But vacations in this beautiful region are well worth some extra travel time, as the area’s relative isolation has preserved its traditional Ligurian culture as well as its natural beauty. Rail connections to Cinque Terre depart from Pisa, Genoa, Florence and Milan, the nearest major airports. The best way to experience Cinque Terre’s aura is on foot, and it boasts some of the world’s best coastal hiking trails. A scenic five-hour walking trail linking all five villages hugs the coastline. The path between Riomaggiore and Manarola is called the Via Dell’Amore (“Lovers Walk”) and some say it’s the most beautiful walking trail in the world. 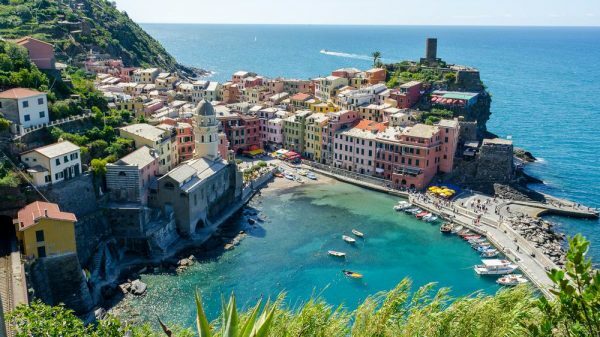 The path that connects Corniglia and Vernazza offers some incredible views of the shore, and the trail between Vernazza and Monterosso, with its dramatic views of the sea, winds through olive orchards and vineyards. Best things to do and see in Naples, Italy Naples is located in southern Italy. It sits on the aptly-titled Bay of Naples.